a communications milestone for the community of Victoria BC, as the first business telephones were installed at W. J. Jeffree’s Clothing store, and W. I. Pendray’s Soap Factory. On this day in 1891, the composer of “O Canada”, Calixa Lavallee, died at Boston at age 48. On this day in 1897, actor J. 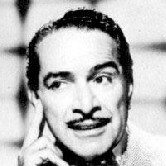 (Joseph) Carrol Naish was born in New York City. He is best remembered for playing the title role in the long-running “Life With Luigi” on radio & (for a shorter period) TV. He also had the lead in TV’s New Adventures of Charlie Chan. He died of emphysema Jan 19, 1973 two days short of his 76th birthday. On this day in 1917, pianist/songwriter/arranger Billy Maxted was born in Racine Wisconsin. He wrote for big band great Benny Goodman & played with Glenn Miller’s Orchestra. 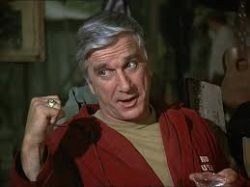 He died Oct 11, 2001 at age 84. On this day in 1919, actress/radio-TV host Jinx (Eugenia) Falkenburg was born in Barcelona Spain. 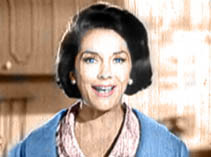 She was a movie actress & popular model before & during World War II , after which she and her husband Tex McCrary were hosts of “Meet Tex and Jinx” a local radio talk show they conducted from Peacock Alley in New York’s Waldorf Astoria. They also hosted NBC TV’s At Home show, while she was a regular on TV’s charades show Masquerade Party. 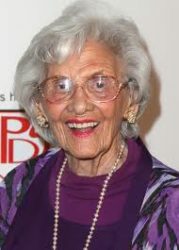 She died a month after her husband Aug 27, 2003 at age 84. On this day in 1924, Emmy-winning actor Telly (Aristotle) Savalas was born in Long Island NY. Although he made many movies he is best remembered as the proudly bald TV detective Kojak. He succumbed to bladder cancer Jan 22, 1994 one day after his 70th birthday. 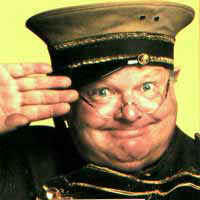 Also in 1924, comedian Benny Hill was born Alfred Hawthorne Hill in Southampton England. His zany & (for its time) ribald TV show was sold in 140 countries around the world, with viewership in the tens of millions. He died of heart problems related to obesity April 20 1992 at age 68. On this day in 1927, the first opera to be broadcast over a national radio network was presented in Chicago. Listeners heard selections from “Faust”. On this day in 1932, Annunzio Paolo Mantovani gave a memorable concert at Queen’s Hall in England to “glowing notices”. This was the beginning of the musician’s successful recording career that provided beautiful music to radio stations for nearly five decades. Better known as just Mantovani, his music still entertains us with hits like, “Red Sails in the Sunset”, “Serenade in the Night”, “Song from Moulin Rouge” and “Charmaine”. 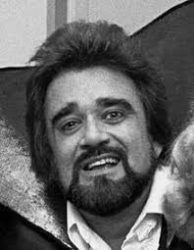 On this day in 1938, the legendary deejay known as Wolfman Jack was born Robert Weston Smith in Brooklyn. His unique radio style made him an icon of ’60s radio, broadcasting from XERF, then XERB in Mexico and heard throughout a major part of the U.S.; On TV he was announcer for NBC’s The Midnight Special. 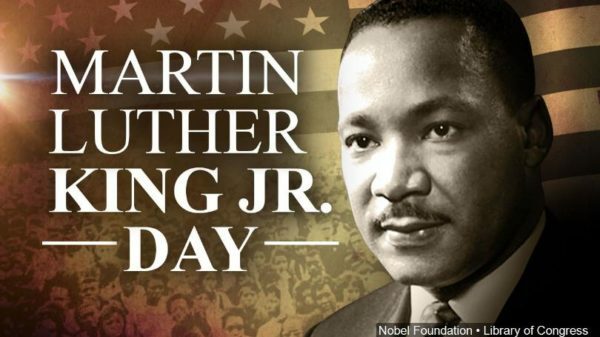 He died following a heart attack July 1, 1995 at age 57. On this day in 1942, Count Basie and His Orchestra re-recorded his composition “One O’Clock Jump” for Columbia Records. He first recorded the tune on July 7, 1937 for Decca. On this day in 1946, “The Fat Man” began its 5-year run on ABC radio. J. Scott Smart, who played the portly detective, weighed in at 270 pounds in real life. On this day in 1949, Tennessee Ernie Ford had his first recording session at the Capitol tower in Hollywood; his first release, “Tennessee Border,” made it into the Country Top Ten. On this day in 1957, singer Patsy Cline appeared on Arthur Godfrey’s Talent Scouts on CBS TV. Audience applause made her the winner for the week after singing “Walking After Midnight”, which quickly launched her career. 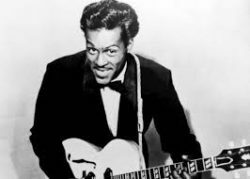 Also this day in 1957, rocker Chuck Berry was in Chicago to record “School Day (Ring! Ring! Goes the Bell),” his second R&B #1 single. On this day in 1959, movie director and former host of CBS Radio’s Lux Radio Theatre Cecil B. Demille died following a heart attack at age 77. On this day in 1962, singer Jackie Wilson appeared on CBS-TV’s “Ed Sullivan Show” singing “That’s Why” and “The Greatest Hurt.” The show also featured Robert Goulet, Kate Smith and the Canadian comedy team of Wayne & Schuster. On this day in 1964, the UK singing duo Peter and Gordon recorded the Lennon-McCartney composition, “A World Without Love.” It was their first single, and their lone #1 hit in both Britain and North America. Also in 1965, more than 3,000 screaming fans met The Rolling Stones and Roy Orbison at the airport in Sydney, as they arrived to begin a 16 date tour of Australia and New Zealand. On this day in 1966, George Harrison of the Beatles married Patricia (Patty) Anne Boyd in Surrey, England. The two had met two tears earlier on the set of the movie, “A Hard Day’s Night”. The couple later divorced and she married Eric Clapton. On this day in 1967, Davy Jones of The Monkees began recording Neil Diamond’s “A Little Bit Me, A Little Bit You” backed by studio musicians, without the rest of the group. 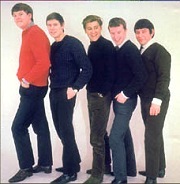 When released six weeks later as the next Monkees single it quickly became their third Gold Record. 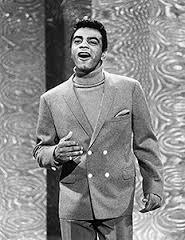 On this day in 1968, Ed Sullivan’s Sunday night “rilly big shew” on CBS-TV was headlined by singers Johnny Mathis (above) and Lana Cantrell. Comedy this week was supplied by ex-vaudevillian Jack E. Leonard and impressionist John Byner. On this day in 1970, ABC-TV presented “The Johnny Cash Show” in prime time, following a successful 15 weeks as a summer replacement. The regular season series lasted 14 months and was a big boost for country music. Johnny wore his predictable black on the all-color show. On this day in 1972, the No. 1 Billboard Pop Hit was “American Pie” by Don McLean. The song, at 8 minutes and 27 seconds, was too long to fit on one side of a single and was split into two parts for release as a 45. On this day in 1978, the soundtrack of “Saturday Night Fever” reached #1 on the album charts — a position it held for the next 24 weeks. It sold over 30 million copies world wide, making it the best selling soundtrack album of all time. On this day in 1982, bluesman B.B. King donated his entire record collection — variously reported as either 20 thousand or seven thousand disks — to the University of Mississippi’s Center for the Study of Southern Culture. The collection included rare 78’s King played as a radio D-J in the 1940’s. On this day in 1983, the Allman Brothers bassist Lamar Williams died of lung cancer at age 34. He joined the band in 1972 after the death of original bassist Berry Oakley. On this day in 1984, singer Jackie Wilson died at the age of 49. He had been in a coma since his 1975 heart attack during a concert in New Jersey. His funeral was held in Detroit. On this day in 1985, actor Patrick Duffy announced plans to leave the CBS show “Dallas” at the end of the TV season. He asked that the character of Bobby Ewing not be replaced by another actor. Good thing. Bobby showed up in the new season, miraculously rising from the dead; taking a shower, after being in a tremendous car crash the previous season. And Duffy returned to continue in the role of Bobby Ewing through the original “Dallas” finale in 1991. On this day in 1987, Roy Orbison, Smokey Robinson, Aretha Franklin, & Jackie Wilson were among those inducted into the Rock and Roll Hall of Fame. Also this day in 1987, thirty years after its release, Jackie Wilson‘s single, “Reet Petite” (written by Motown founder Berry Gordy), ended a month at the top of England’s music charts. On this day in 1989 the song “Two Hearts” by Phil Collins topped the charts and stayed there for 2 weeks. On this day in 1990, the first “MTV Unplugged” special was aired on the US cable channel, with Squeeze as the first performers. On this day in 1995, the 52nd Golden Globes honored The X Files, Frasier, Mad About You, Dennis Franz, Tim Allen, Clare Danes, and Helen Hunt as TV’s best, among many others. Also in 1995, Tony Bennett performed in the Super Bowl halftime show at Joe Robbie Stadium in Miami. On this day in 1997, Irwin Jesse Levine, whose song “Tie a Yellow Ribbon `Round the Old Oak Tree” became an unofficial anthem of the US during the Iran hostage crisis, died of kidney failure at the age of 58. Most of the hits of Tony Orlando & Dawn were written by Levin. 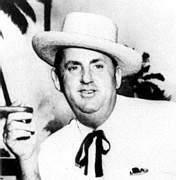 Also this day in 1997, music industry legend Col. Tom Parker, the immigrant Dutch promoter who guided Elvis Presley to stardom, died in Las Vegas from complications from a stroke. He was 87. On this day in 1998, actor Jack Lord, who starred as Steve McGarett in 203 episodes of the original Hawaii 5-0, died of congestive heart failure at age 77. On this day in 1999, influential R&B singer/pianist Charles Brown died of congestive heart failure at age 76. Brown scored his first hit, “Drifting Blues,” on the Alladin label in 1946 with Johnny Moore’s Three Blazers. On this day in 2002, singer/songwriter Peggy Lee, one of the truly distinctive voices of her generation, died of complications from diabetes & a heart attack at age 81. Also this day in 2002, singer Rosemary Clooney underwent lung cancer surgery at the Mayo Clinic in Minnesota. However the disease would claim her life five months later at age 74. Still in 2002, the 100th episode of “Ally McBeal” aired on FOX. On this day in 2004, the Recording Industry Association of America (RIAA) sued 532 music downloaders who it said were illegally distributing songs over the Internet. Also this day in 2004, a memo was leaked showing a list of songs banned from being performed at this year’s auditions for American Idol. Disallowed tunes included Elton John’s ‘Candle In The Wind’ and ‘Fallin’ by Alicia Keys. Also all songs by Bruce Springsteen, Mariah Carey, No Doubt, R. Kelly, Tom Petty, Korn and Linkin Park were not permitted, due to concerns about the cost of securing rights for the song’s use, (or composers not wanting their songs to be performed on the show). On this day in 2005, a former CRTC Chairman Harry Boyle passed away. He was the first member of either the Board of Broadcast Governors or the CRTC to have on-air experience. He succeeded Pierre Juneau as Chairman in 1975, and retired in 1977. Also in 2005, US college DJ, Dave Plotkin, from Rollins College’s WPRK-FM in Winter Park, Florida, set a record for the world’s longest continuous broadcast by a single jock. He stayed on the air for 110 hours. On this day in 2006, after 18 years Bob Kingsley (below) gave up his hosting of the syndicated radio show “American Country Countdown.” He was succeeded by singer Kix Brooks of Brooks and Dunn, who is still doing it. On this day in 2007, former lead singer of boy band B2K, Omarion was at No.1 on the Billboard album chart with ’21’, the R&B singers second No.1 album. On this day in 2010, Conan O’Brien and NBC worked out their final conflict and reached a deal in which Conan would receive a $32.5 million severance, his staff a further $7.5 million. and the executive producer $4.5 million. On this day in 2011, Marilyn Manson appeared as a guest judge and coach on an Austrian talent show Helden von Morgen (Tomorrow’s Heroes). On this day in 2012, UK singing sensation Adele was at No.1 on the Billboard album chart with her second studio album “21.” The album which yielded five hit singles, had already sold over 26.4 million copies worldwide. On this day in 2013, the number of presidential inaugural balls was down from 10 to 2 as Barack Obama officially began his second term. Alicia Keys, Brad Paisley, Chris Cornell, Jamie Foxx, Jennifer Hudson and Marc Anthony performed at the black tie affairs. On this day in 2014, Neil Young was honored by the Recording Academy Producers and Engineers in L.A. “We pay tribute to a musical icon who has been tireless in his own efforts to draw attention to the importance of hearing music as the artists who created it intended,” said Recording Academy President/CEO Neil Portnow in a statement. On this day in 2017, singer/songwriter Maggie Roche, one-third of the New Jersey family band the Roches, died after a long battle with cancer at age 65. Also in 2017, country singer Crystal Gayle was formally inducted into the Grand Ole Opry by her sister, Loretta Lynn. On this day in 2018, Connie Sawyer, the oldest working actress in Hollywood, died following a heart attack at age 105, She had appeared in Showtime’s Ray Donovan well past her 100th birthday. Earlier series she had small roles in include Archie Bunker’s Place, The F.B.I., Hawaii Five-Oh, etc. Actress Audrey Dalton (Wagon Train, Bat Masterson) is 85. Opera singer Placido Domingo is 78. Singer Mac Davis is 77. Actress Jill Eikenberry (LA Law) is 72. 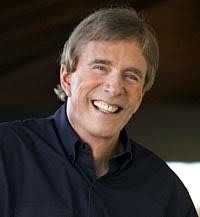 Guitarist Jim Ibbotson of The Nitty Gritty Dirt Band is 72. TV producer/director Jerry London (Diagnosis Murder, The Rockford Files, Kojak, Hogan’s Heroes, Hawaii Five-0) is 72. Singer-songwriter Billy Ocean is 69. Actor/director Robby Benson (Ellen, Reunited, Good Advice) is 63. Actress Geena Davis (Commander-in-Chief, Geena Davis Show, Buffalo Bill) is 63. Toronto-born actor Michael Wincott (24: Live Another Day, Remembering Charlie, The Darkest Day) is 61. Actress Charlotte Ross (NYPD Blue, Jake in Progress) is 51. Actor Matthew Willig (Agents of S.H.I.E.L.D.) is 50. Actor John Ducey (Oh, Grow Up!, Will & Grace) is 50. Actress Karina Lombard (The L Word, The 4400) is 50. Rapper Levirt of B-Rock and the Bizz is 49. Drummer Mark Trojanowski of Sister Hazel is 49. Actor Ken Leung (The Night Shift, Zero Hour, Lost) is 49. Actor Greg Pitts (Sons & Daughters, Normal Ohio, Damon) is 49. Brantford Ont.-born comic & actor Darren Frost (Just for Laughs, Medabots) is 48. Singer Cat Power is 47. DJ Chris Kilmore of Incubus is 46. Actor Vincent Laresca (Shades of Blue, 24) is 45. Winnipeg-born actor Paul Anthony (iZombie, The Flash, Traffic, The Adventures of Shirley Holmes) is 44. Singer Emma Bunton (Baby Spice) of the Spice Girls is 43. Actor/voicist Jerry Trainor (iCarly, Wendell & Vinnie, T.U.F.F. Puppy) is 42. Singer Nokio of Dru Hill is 40. Toronto-born actress Ilana Miller (The New Mickey Mouse Club) is 40. Actress Izabella Miko (Deadwood, The Cape) is 38. Montreal-born model/former pro wrestler/actress Maryse Ouellet Mizanin (WWF Raw, WWE NXT, Total Divas) is 36. Actor Luke Grimes (Brothers & Sisters, Yellowstone, True Blood) is 35. Actress Tipper Newton (The Mindy Project, The Guest Book) is 33. Vancouver-born actor Jeffrey Ballard (24 Hour Rental) is 32. Actor Jacob Smith (Party of Five) is 29. Vancouver-born actress Brittany Tiplady (Millennium) is 28. Actor Craig Roberts (Red Oaks) is 28. Actor Booboo Stewart (Descendants: Wicked World, Dante’s Cove) is 25. Vancouver-born actress Chanelle Peloso (Incredible Crew, Level Up) is 25. Actress Taylor Rouviere (Bloodline) is 22. Actor Jackson Brundage (One Tree Hill, See Dad Run) is 18.